This past weekend I walked into IKEA and within 60 minutes I was out the exit with less than I had planned to purchase, no extraneous purchases, and under budget. No small miracle. As I announced this on twitter last night, the responses ranged from a blog post to online course request. So here are the six things I did. And you’ll soon see how they are also project management lessons to embrace. Every project needs a list of deliverables. Every project manager knows that you won’t reach the end of a project under budget and on time if you don’t have a Work Breakdown Structure (WBS). A WBS is the breakdown, in deliverable terms, of a project into the list of items that have to get delivered to call the project a success. I did the same with my shopping trip. Why? Because it’s all about having clear objectives. If you don’t know your target, you won’t hit it. Every project needs a firm budget. Part of what goes into a successful project is knowing where you can and can’t spend your time. And the driver of these constraints is your budget. 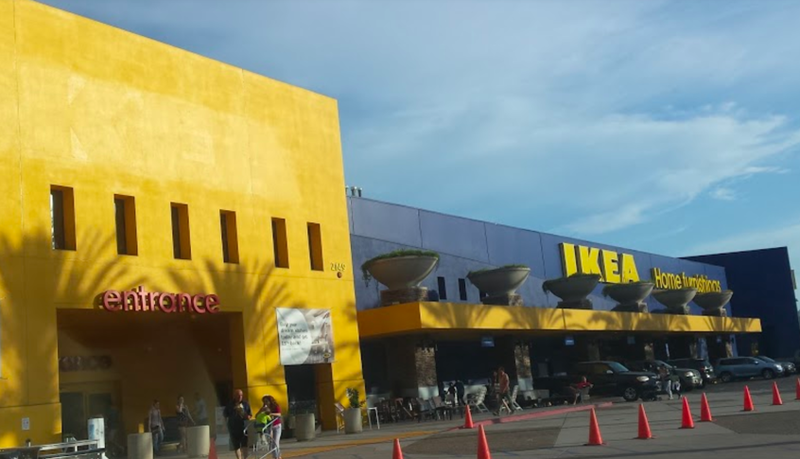 As you likely know, an IKEA store is huge. We could have wandered around the whole store for hours with all the things to see. But having a budget told us exactly where we could spend time – and how much time (and money) we could spend. Successful projects are projects with alignment. We all know there are tons of various stakeholders in a project that can push a project into the danger zone. They don’t do it on purpose, but they do it nonetheless. To win at projects, you need to get alignment. You can do that, as I said below, with a carrot or a stick. Doesn’t matter. Each situation is different. But you still have to do it. Focus. Push everything else out of site. I can’t tell you the number of times we’ve been in the middle of a project and heard, “You know what would be awesome…. ?” That’s music to some people’s ears because it sounds like the sound of a change order. But it can also mean the sound of delays and missed deadlines. Push the “wouldn’t it be nice” features to a second or third phase. Keep everyone on the same road with the same destination. It’s all about focus. The clock can be your friend – time-boxing drives decisions. If I tell you that you have five days to figure something out, you’ll likely spend all five days figuring it out. Because I give you the time, you’ll take it. That’s no one’s fault. But if I tell you that you have a day or two to figure it out, it may surprise you that get it done in that amount of time as well. Time boxing – which means creating an artificial constraint using time to impose a deadline on an effort – can be of incredible value on winning projects. Mostly because it drives decisions. Instead of taking 5 days to make a call, you learn to make one in 1 or 2 days. Lastly, find ways to celebrate. When we exited the store last night, the entire family was ready for dinner. We knew we were going out to dinner and that we might even be able to squeeze an ice cream trip into the evening. But all of that was prepped for in advance. On your projects, find ways to establish celebration points. After all that dinner and ice cream, my daughter and I , when we got home, walked into her room. You couldn’t see her floor. Seriously. And I asked if she wanted help clearing everything out. Getting rid of stuff. Purging. The win at IKEA, and the post-shopping celebration, had put her in a posture of working hard for success. So she said yes and we proceeded to fill 11 huge trash bags of clothes, toys and junk from her room – working until 11 pm. I tell you this to simply say, winning begets winning. It’s a dynamic that’s alluring and inviting and addictive. So use these project management lessons from my IKEA trip on your next project, and see if you don’t end up with a nice win (and motivated employees too)!